We love this time of year as the seafood is rich with fat as the waters turn cold. Some of our favorites this time of year is ankou (monkfish), for its meat which we often make in a nabe (hot pot) but also for its liver. 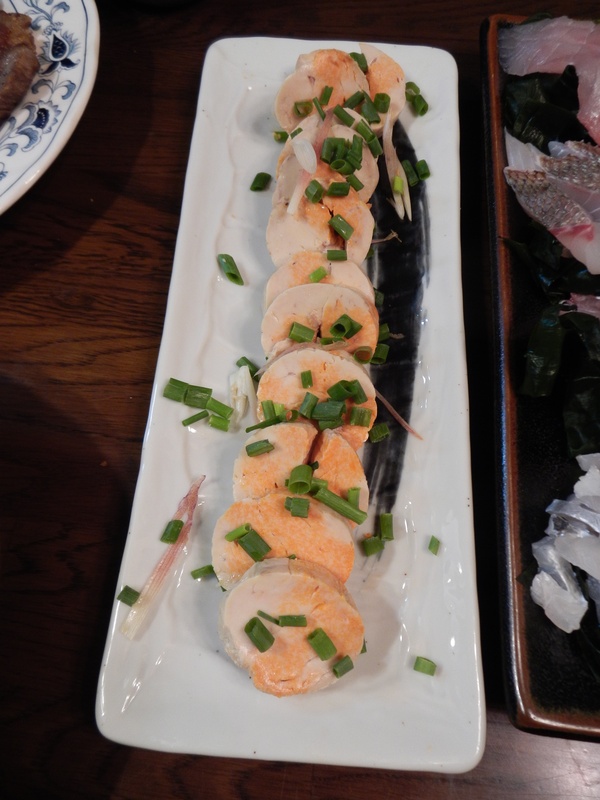 The photo above is of monkfish liver that we made at home. The liver is often sold at supermarkets this time of year. Simply marinate in a bit of salt and sake, roll up in plastic wrap and then foil, steam until cooked through, then chill and slice. Serve with a citrusy soy ponzu and a sprinkle of shichimi (seven spice). Many Japanese gourmands call it the foie gras of the sea, albeit not as rich, so a delicate treat. We also love sashimi this time of year. 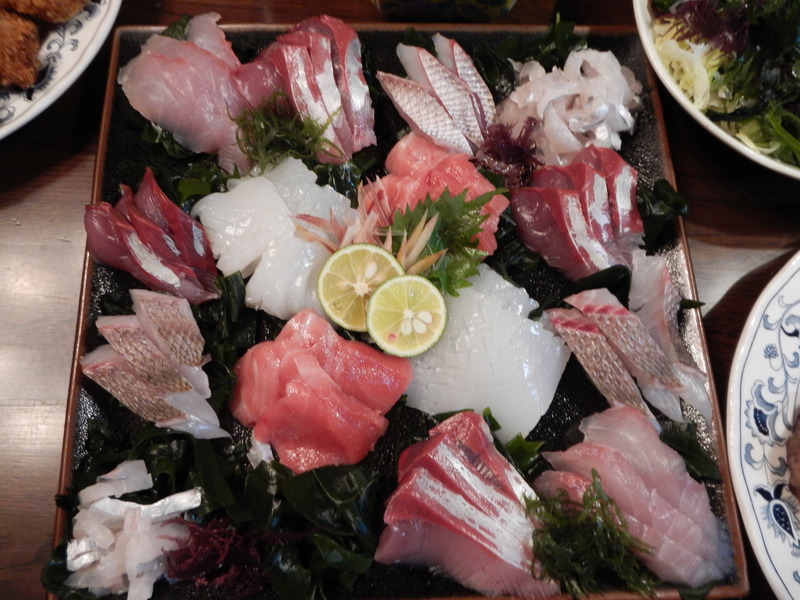 The other photo is of kinmedai, wild warasa (young yellowtail), madai, tachiuo, aori ika, and maguro. All are in season this time of year. 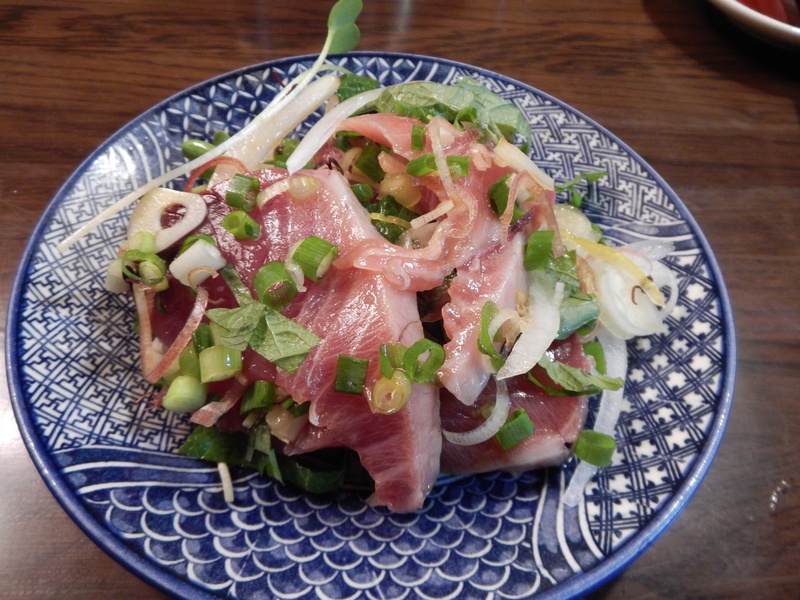 Katsuo is lovely seared tataki-style, as sashimi, or even better yet, a sashimi salad with many different yakumi condiments paired with a homemade citrusy ponzu dressing. Scallops we love as sashimi or sautéed in butter. Swordfish calls out for a sweet soy teriyaki sauce. And while salmon is available all-year long, must of it is farmed and imported. We look for domestic, wild salmon this time of year. 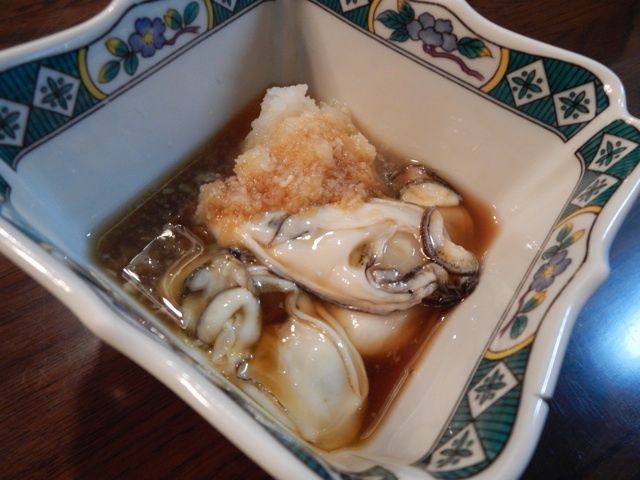 We love oysters raw, or in nabe, or best of all – breaded and deep-fried as kaki furai.